SwanDiamondRose: shoes & lipstick all in one. image from The Seductive Shoe: Four Centuries of Fashion Footwear. 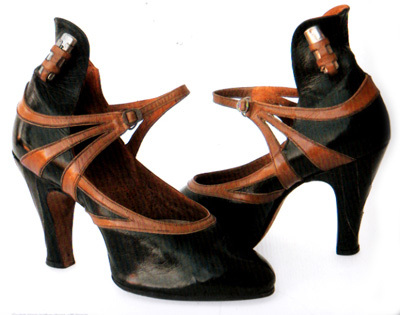 a 1920s pair of shoes with lipstick and lipstick tube holsters on each side. mmmm hmmmm. most likely custom made for promotional purposes. and the book i found these in is fantastic. shoe fanatics will love it. not only does it cover the evolution of footwear but also covers different demographics within a decade. as in not only focusing on designer shoes but more affordable copies. and it has an interesting Canadian slant. when i think of Canada i don’t think HOT SHOES! but we definitely have our place [which includes Fluevog and Peter Fox]. Susie Bubble SWANclothing Ruffle Bustle Bumbag ra ra! This would come in handy for me! i think we ALL need a bit of this!